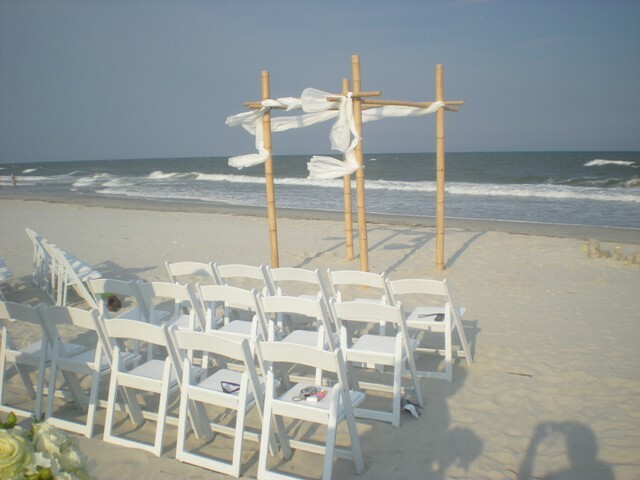 Myrtle Beach Wedding Chuppahs can be set up on the beach outside the Myrtle Beach city limits. They are real Bamboo poles. They can be decorated with tulle, chiffon, hanging sea shells, artificial flowers or live flowers. If the wind is strong the live flowers don’t hold up as well. 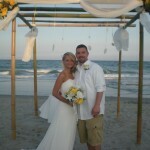 They add a romantic flare to your wedding along with the beautiful ocean view. These can also be set up on lawns. Pricing is determined by the travel distance and accessibility to the set up location usually between $250 -$350. 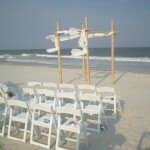 On the beach holes are dug at least 2 ft. deep for each leg of the Chuppah and buried. This creates stability as we don’t want it blowing away. 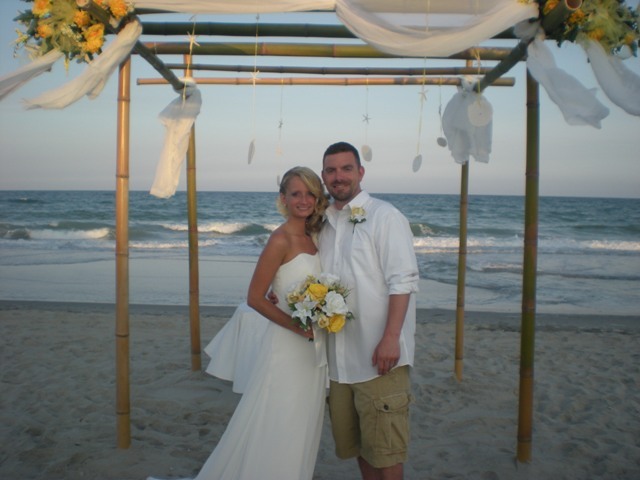 Setting up a Chuppah takes at least 2 hours as it is assembled pole by pole. Give us a call to order yours as soon as possible as they are becoming very popular.